ARRA News Service - Frank Newport, Gallup Poll: A sizable proportion of Democrats would vote for John McCain next November if he is matched against the candidate they do not support for the Democratic nomination. This is particularly true for Hillary Clinton supporters, more than a quarter of whom currently say they would vote for McCain if Barack Obama is the Democratic nominee. Posted by Bill Smith : Post Link --> 8:31 PM 1 Comments - Share Yours! 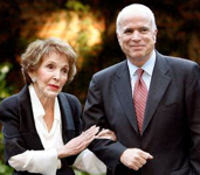 Bloomberg.com: Former first lady Nancy Reagan endorsed Arizona Senator John McCain's presidential campaign in a move McCain said would encourage conservative Republicans to rally around his bid. Reagan called McCain a "good friend for over 30 years'' who is well prepared to become commander in chief. McCain, 71, was a prisoner of war in Vietnam for over five years after his aircraft was shot down over Hanoi in 1967. "My husband and I first came to know him as a returning Vietnam War POW and were impressed by the courage he had shown through his terrible ordeal,'' Reagan said today in a statement released by the campaign and the Ronald Reagan Presidential Library Foundation. I believe John's record and experience have prepared him well to be our next president." H/T ARRA News Service: Washington Post - Ed Stoddard, Reuters: John McCain's Phoenix pastor, Dan Yeary, is a folksy patriotic Southern Baptist who opposes abortion and believes homosexuality to be a biblical sin, but says Christians have an obligation to love such sinners. That puts Yeary, who heads the church attended for the past 15 years by the Republican presidential candidate firmly in the U.S. Southern Baptist mainstream, and in line with the Republican Party. . . .
Yeary, pastor for the 7,000-member North Phoenix Baptist Church, professes little interest in politics and prefers to focus on preaching and spiritual guidance. But McCain's affiliation with Yeary will do him no harm in wooing support from the key Republican base of evangelical Christians. "John and I are friends, he has called on me to minister to the family in times of challenge and difficulty," he told Reuters in a telephone interview. . . .
John and I are having continual dialogue about his spiritual pursuits," Yeary said. In an interview last year with . . . on-line Catholic forum devoted to issues of faith, McCain said he liked Yeary's "message of reconciliation and redemption which I'm a great believer in. And so I began attending North Phoenix Baptist church and I'm grateful for the spiritual advice and counsel that I continue to get from Pastor Dan Yeary." Posted by Bill Smith : Post Link --> 11:37 PM 1 Comments - Share Yours! ARRA News Service - Bill Smith, ARRA Editor: Happy St. Patrick's Day! With the "Luck O' the Irish" on your side and to have some fun, head over to join in the McCain 2008 Basketball Brackets. John McCain has made his picks, and this is your chance to compare your picks with his. You'll also be eligible for great McCain 2008 prizes. Click here to sign up and fill out your bracket. Picks must be made before the start of the first games on Thursday, March 20th so make your picks today! After you've signed up, send your friends a quick note to invite them to join in the fun. When you make your picks, you can select your favorite college or university and your points from your correct picks will go to your school. As an OU alumnus, I am Irish enough to suggest choosing the Univ. of Okalhoma; Oh well I tried! The school with the most points will win - so the more people you get to play, the better chance your school will have! Whether you're an alumni, current student or a fan, every correct point will help show your support for your school, even if they're not still playing in March! Be sure to spread the word to all of your friends to make sure they sign up today. Good luck with your bracket and don't forget to click here to make your picks before Thursday! Tags: abortion, Brack Obama, Election 2008, Hillary Clinton, John McCain, Por-life, presidential candidates, Roe vs. Wade To share or post to your site, click on "Post Link". Please mention / link to America's Best Choice. Thanks! Posted by Bill Smith : Post Link --> 11:46 PM 0 Comments - Share Yours! John's homecoming began a new phase of his life. His courageous service and his political career are well known today, and now he is the presumptive nominee for the Republican Party to be the next President of the United States. Posted by Bill Smith : Post Link --> 12:44 PM 0 Comments - Share Yours! Hat tip to ARRA News Service for post: by Matt Lewis: Last night [3/11/08] at the Plaza in NYC, over $2m was raised for John McCain. . . . He is a conservative who supports lower taxes, a strong military and understands that Iraq is a key battleground in the war on terror while his opponents want higher taxes and would pull out of Iraq at a crucial time. Spoke of our brave men in uniform and how proud he is of them. . . . As McCain left the stage to shake hands secret service had their work cut out for them. There was a mad rush to the stage to meet the next President. 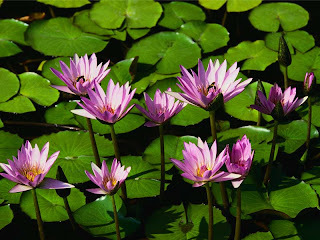 . .
Posted by Bill Smith : Post Link --> 3:19 PM 0 Comments - Share Yours! On health care, Senator McCain believes that: 1) Bringing costs under control is the only way to stop the erosion of affordable health care insurance. 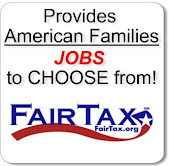 2) Reforming the tax code to eliminate the bias toward employer-sponsored health insurance, and providing all individuals with a $2,500 tax credit ($5,000 for families)to increase incentives for insurance coverage; are a few of the important points to consider when seriouly dealing with the health care situation in this country. 3) Insurance should be innovative, moving from job to home, job to job and providing multi-year coverage. 4) families should be able to purchase health insurance nationwide to maximize their choices, and heighten competition for their business that will eliminate excess overhead, administrative, and excessive compensation costs from the system. 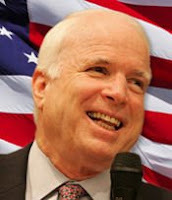 Find out more details on McCain economic and health care plans should visit his site. Posted by Haydee Florez : Post Link --> 12:47 PM 0 Comments - Share Yours! Posted by Haydee Florez : Post Link --> 9:07 AM 0 Comments - Share Yours! Posted by Haydee Florez : Post Link --> 10:04 AM 0 Comments - Share Yours! THE WORLD THEATER HAS BEEN THE STAGE FOR A FEW "CHARISMATIC LEADERS",WHO HAD RALLIED GOOD IDEALISTIC PEOPLE AROUND THEM. THE PAST CENTURY HAD WITNESSED SOME EXAMPLES. WORLD WAR TWO TAUGHT US A VERY COSTLY LESSON. SHALL WE CHOOSE OUR LEADERS BASED ON CHARISMA OR CHARACTER? LOOKING BEYOND APPEARANCE OR POPULARITY IS EXTREMELY IMPORTANT; WHEN WE SELECT THOSE WHO WILL BE IN CHARGE OF HANDLING THE FUTURE OF OUR COUNTRY. 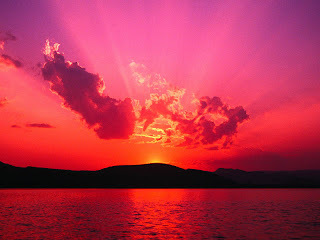 THE TRAYECTORY OF A PERSON'S LIFE, HIS OR HER ACCOMPLISHMENTS AND SACRIFICES SPEAK LOUDER THAN ANY SPEECHES. Posted by Haydee Florez : Post Link --> 10:02 AM 0 Comments - Share Yours!